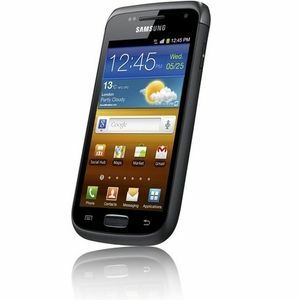 The Samsung Galaxy W I8150, which is also known as the Samsung Galaxy Wonder, is a small version of the Samsung Galaxy S II. It was created to be sold as a lower-end version of the Galaxy S II. The Galaxy W is powered by a single core 1.4 GHz Snapdragon CPU. It has a 3.7" WVGA TFT LCD touchscreen with a 480x800 resolution. This gives the Galaxy W a pixel density of 252 ppi. The Samsung Galaxy W I8150 has Bluetooth 3.0, DLNA, and Wi-Fi connectivity. The phone uses Samsung's TouchWiz 4.0 user interface.